Twitter chats have become a new tool for raising awareness about important healthcare topics. In this article experience with the monthly twitter chat on antimicrobial stewardship (#ASPchat) is described. In this era of a rapidly changing infectious diseases landscape along with the increasingly recognized importance of antimicrobial stewardship, now it is more important than ever to stay connected with colleagues and keep up with the latest advancements in our field. Colleagues have published in top journals such as Clinical Infectious Diseases on the value of Twitter to disseminate information, learn, and engage others . We wish to share our experience with using Twitter to achieve these goals via a monthly Twitter chat, a real-time discussion focusing on antimicrobial stewardship. In November 2016, to coincide with Antibiotic Awareness Week, we initiated the first of several chats entitled #ASPchat. The discussions are scheduled monthly with a pre-determined time and topic and participation is open to anyone with a Twitter account. #ASPchat is promoted on Twitter starting a week prior to the event with a link to more detailed information available online . Depending on the topic, relevant stakeholder groups are approached to encourage participation. The Twitter chats are scheduled for one hour and during the chat, questions for discussion are tweeted every 10 minutes via @ASP_Chat. Questions prompt participants to identify challenges and opportunities and share resources and ideas. All participants are asked to use the hashtag #ASPchat in their tweets so that users can follow the discussion. Metrics for each monthly chat were obtained from Symplur Healthcare Hashtags . Since inception, we have held 14 monthly chats on topics ranging from “Antimicrobial Stewardship and Regulatory Bodies” to “Antimicrobial Stewardship and Drug Allergies”. The number of monthly participants, tweets, and impressions (estimate of the number of Twitter accounts all tweets could potentially reach) ranged from 37 to 92, 154 to 450, and​ 182,100 to 1,108,888, respectively (Figure 1). ​Participants include mostly pharmacists and physicians and represent a wide geographic area (e.g., United States, Canada, United Kingdom, Australia). Twitter chats present an opportunity to create a community of interested participants across the globe with minimal cost and labor intensity. The broad reach potential also increases awareness and engagement beyond those participating during the hourly discussion. Future opportunities for Twitter chats include advancing beyond simply discussion of topics to more collaborative and productive objectives as well as encouraging more non-infectious diseases clinicians to participate. We urge readers to leverage social media as a tool to connect with colleagues and participate in growing opportunities for real-time discussion such as the #ASPchat. 1. Goff DA, Kullar R, Newland JG. Review of Twitter for Infectious Diseases Clinicians: Useful or a Waste of Time? Clinical Infectious Diseases. 2015; 60(10): 1533–1540. 2. Gauthier TP. 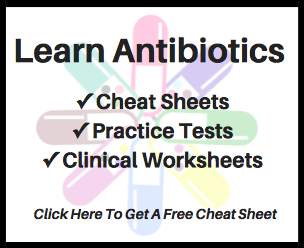 #ASPchat – A Monthly Conversation On Antimicrobial Stewardship. Available at: https://www.idstewardship.com/ASPChat/. Accessed: 26 December 2017. 3. Symplur. Available at: http://www.symplur.com/healthcare-hashtags/. Accessed 26 December 2017.